Fees: Rs. 500/- for General and Rs. 250/- for reserved category candidates; payable through Online Payment Gateway using Credit Card/Debit Card/Net Banking. 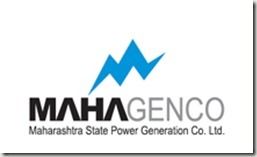 Mahagenco hiring Jr. Engineers | Govt. Jobs | Apply Online | Last Date: 12 Feb, 2012. MahaGenco | Govt. Jobs | Supt. Engineer | Last Date: 21 July, 2014.